Euro couldn’t continue growing and expanded its consolidation channel downwards instead; the market is looking for a new level to make a reverse. We think, today the price may return to level of 1.2825 and then form another descending structure to reach level of 1.2760. Later, in our opinion, the market may start forming an ascending impulse. The first target is at level of 1.3000. Pound wasn’t able to continue forming an ascending structure and right now is falling; this descending movement may be considered as a correction. 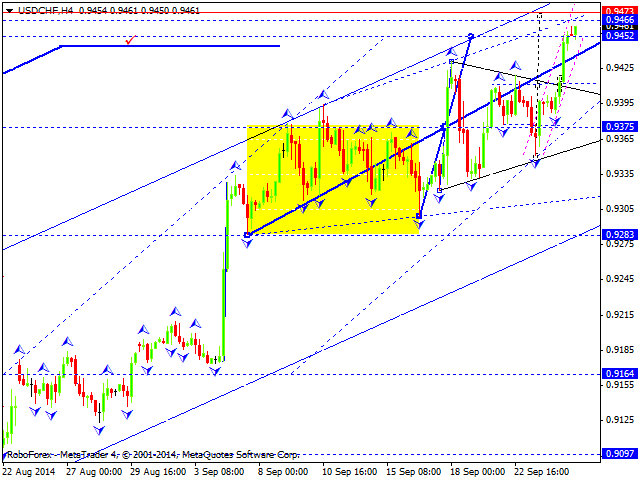 We think, today the price may reach level of 1.6285 and then form another ascending structure to break level of 1.6400. 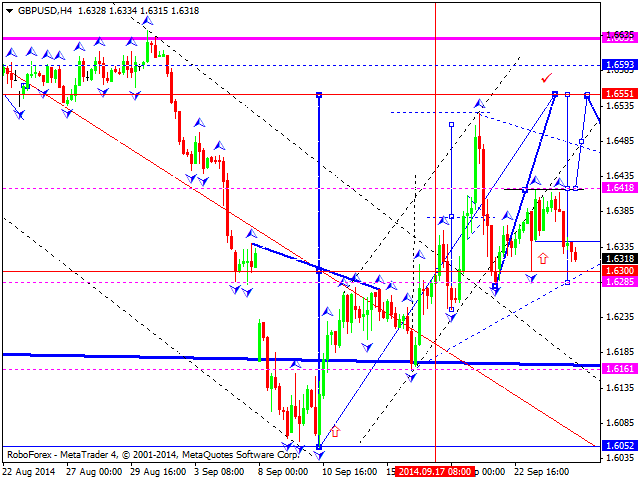 Later, in our opinion, the market may continue growing towards level of 1.6550. Franc is growing and expanding its consolidation structure upwards. We think, today the price may reach level of 0.9466 and then form a reversal structure to continue falling inside the downtrend. 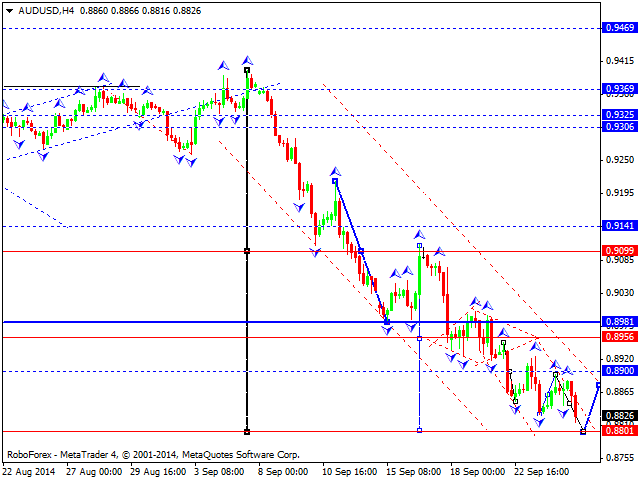 The first target is at level of 0.9285. 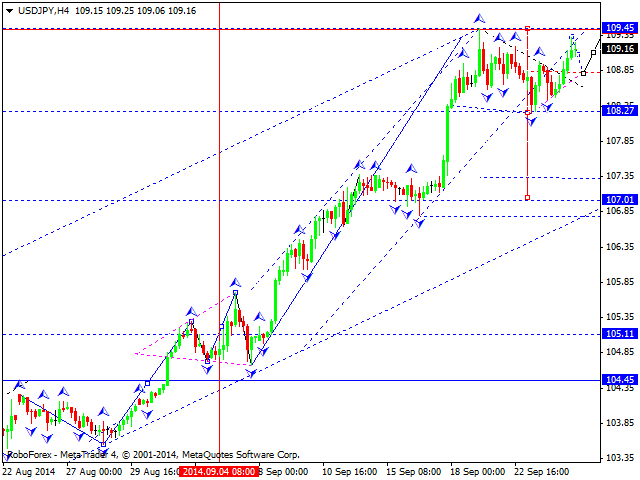 Yen continues forming an ascending structure; the market has formed a structure for reaching a new high. The price is expected to form double top pattern. Later, in our opinion, the market may fall to break the minimum and then continue expanding this trading range towards level of 107.00. 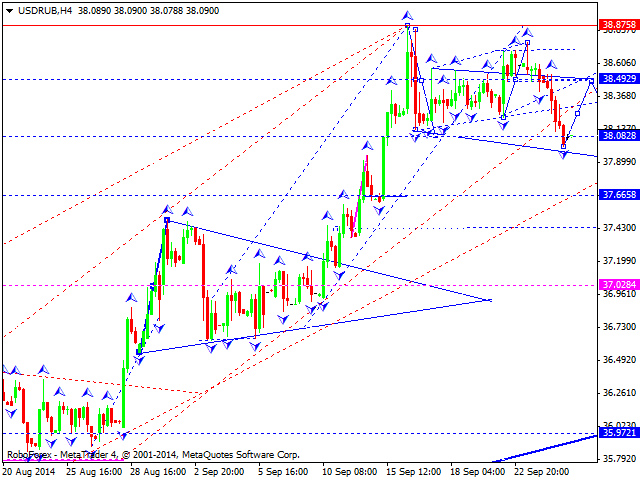 Australian Dollar is still moving downwards. We think, today the price may reach the target at level of 0.8800 and then form a consolidation range with a reversal pattern. Later, in our opinion, the market may start another ascending structure. The first target is at level of 0.9100. Ruble reached the target of the first descending wave. 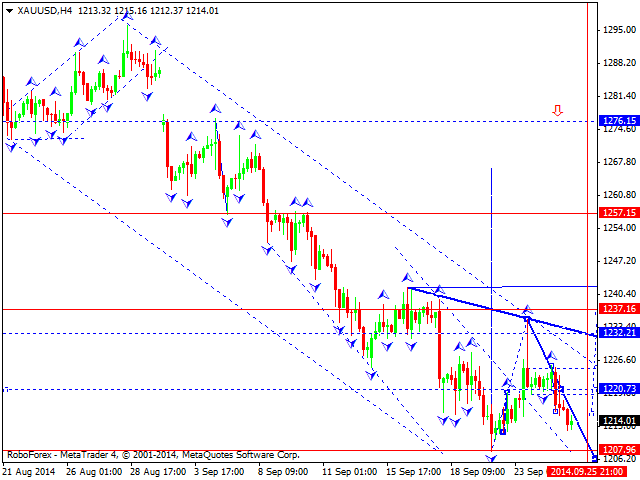 We think, today the price may form a correction towards level of 38.50. Later, in our opinion, the market may form another descending wave to reach level of 37.45 and then return to level of 38.10 to test it from below. 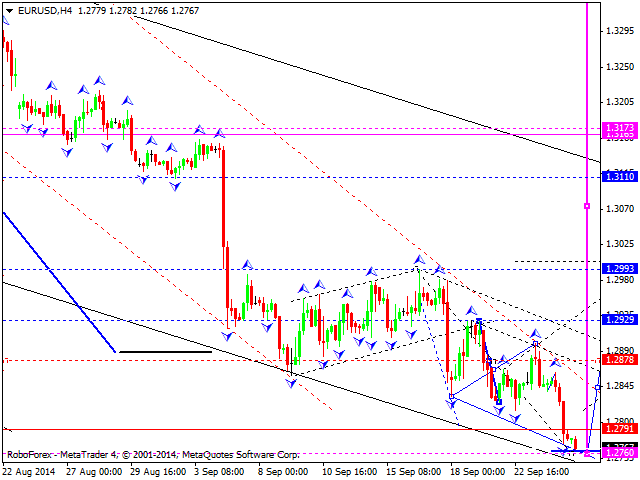 Gold couldn’t continue growing and broke its consolidation channel downwards instead. We think, today the price may expand this channel towards level of 1206, then form another ascending impulse and consolidate. Later, in our opinion, the market may return towards level of 1300. The first target of the growth is at level of 1240.